SSCLF-Family education public welfare fund was launched in an education seminar full of love and insight. On Nov 18, 2018，more than 50 education experts, psychologists, public welfare professionals, media professionals, and representatives of enterprises and nonprofit organizations gathered together in the former residence of Soong’s family. 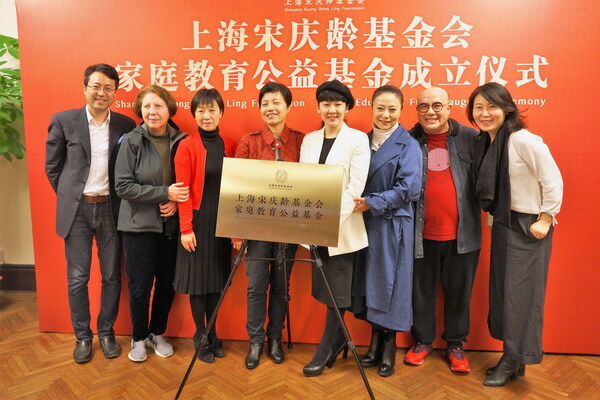 They witness the opening ceremony of family education fund initiated by Cai Yihui, a senior brand expert and public welfare professional. The guests had a heated discussion on the present situation and existing problems in the field of family education in China. The seminar appeals to government, schools, communities, enterprises, and experts for close cooperation to promote the development of family education in China. All experts elaborated on the significance of popularizing standardized family education based on their professional fields and self-experience. And they expressed their opinions and suggestions on the topics, such as focusing more on “educating” kids than “raising” them, making maternal education the first and foremost step in family education, letting family education as the starting point that would affect children’s life, developing a set of family education curriculum, building a family education platform, etc. Famous public welfare professional - Sarah, a Jewish Mom, convinced every guest that family education should take immediate action through her experience and emotional speech. Mr. Kong Xiangdong pushed the seminar to a new high when he played the piano and recited the poetry “Love what you love”.